Want to be updated with our latest training offers? 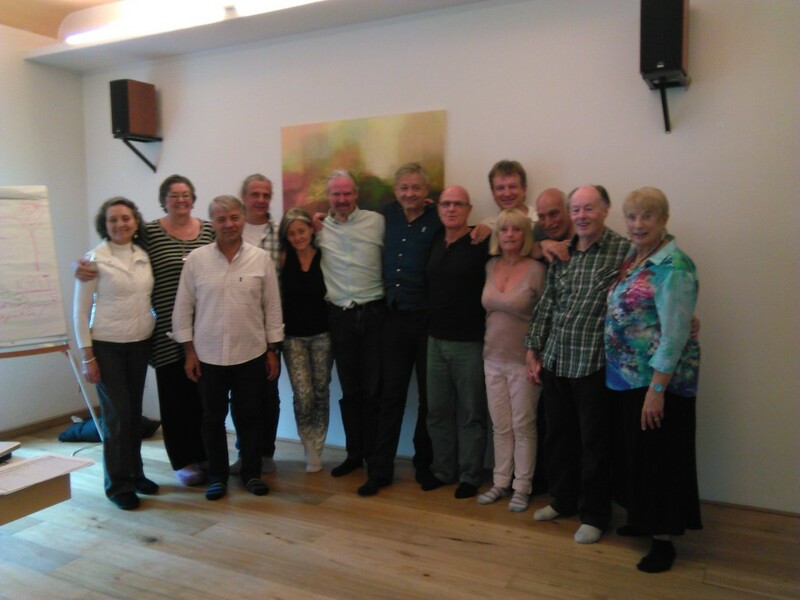 ICPIT (The International Council of PsychoCorporal (Bodymind) Integration Trainers. ICPIT - The International Council of PsychoCorporal (Bodymind) Integration Trainers - founded by Jack Painter, PhD in 1988. Bodymind (PsychoCorporal) Integration was developed by Jack W. Painter, PhD (1933-2010) and consists of three main methods that can be practiced together or independently: Postural Integration®, Energetic Integration® and Pelvic Heart Integration®. These unique approaches unify Body, Feelings, Emotions and Thoughts in a very effective way. Your message, questions or feedback here! Training with Certified ICPIT Trainers (for Postural Integration®, Energetic Integration® and Pelvic Heart Integration®), is working with highly experienced, knowledgeable, disciplined, compassionate and warm guides. This website represents not only the Council, but also the Community of Bodymind Integrators WORLDWIDE. 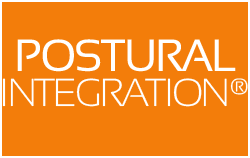 A 2010 questionnaire from EABP (European Body-Psychotherapy Organization) showed that about 10% of all EABP-members received Postural Integration® training. What differentiates Bodymind Integration from other interventions is to make more explicit it’s expertise in working with deep-touch in simultaneous choreography with emotional, cognitive, transpersonal or spiritual work. After Jack Painter developed his world famous integrated system for general bodywork, called Postural Integration®, in the 1960s, he realised that even more energy locked in the bodymind: in the pelvis, the heart, the mind ... can be liberated and integrated in the lives of people. He concluded that it deserves more focus to liberate and fully integrate our potent life force and so over the years, he created his Energetic Integration method, built on Wilhelm Reich's Four-Beat Formula (Tension, Charge, Discharge, Relaxation), leading into his Pelvic-Heart Integration work. These now distinct methods that work with a full Natural Energetic Cycle offer a comprehensive, simple, and yet excitingly complex body of work that promotes readiness for the challenges you as a person may encounter in your life in an embodied and empowering way. Unlike those transformational modalities which involve either body, mental or emotional work, Bodymind Integration approaches body, mind, and spirit in a comprehensive, simultaneous way. It addresses the physical, sexual, and energetic obstacles to health and harmony along with the psychological and the spiritual aspects. While this approach demands a lot of the practitioner, it also delivers a lot to the client! Practitioners share the theory, protocols and practical wisdom of Bodymind Integration, to those individuals interested in significantly advancing their level of competence in Body Psychotherapy. The International Community of PsychoCorporal (Bodymind) Integration Trainings & Practitioners is in constant exchange and mutual support to help the field of Bodymind Integration and humanity by and large. 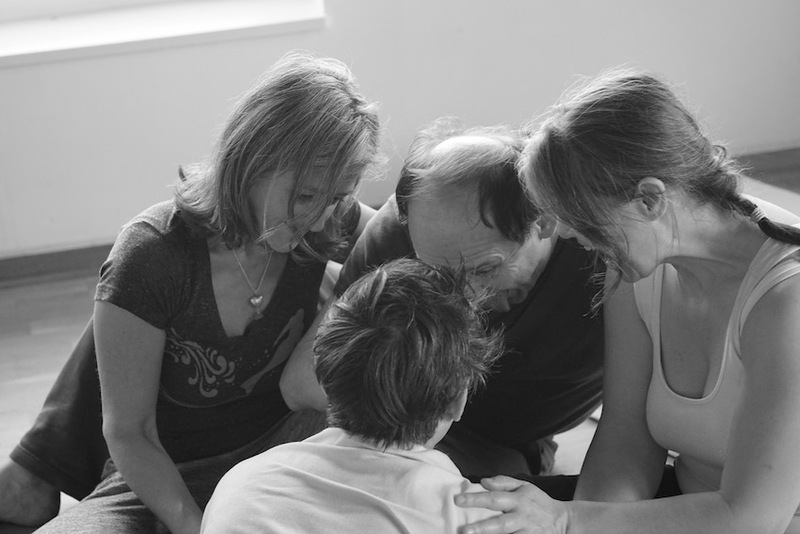 Bodymind Integration can take the form of a Group modality, or a series of Individual sessions. Group work may not be appropriate for everyone but it often has many advantages over individual work. Therefore, both individual and group facilitation skills are taught as part of the Bodymind Integration training programs. Individual session work and group work involve synergizing the modalities of breath work, movement, Gestalt, embodied psychodrama, energy work and bodywork. Whether in an individual or in a group setting, the work creates a healthy and friendly inner and outer environment. A person who went through the work is much better equipped, because much more embodied, to take on the challenges offered by life. The inner and outer ground increases for the better of the whole. This method of Deep bodywork and Personal Development was created by Jack W. Painter, Ph.D. in the 1960s and developed onwards by him into the 1990s. His original, timeless and evolving work is now practiced worldwide by qualified practitioners and master practitioners. Postural Integration is strictly and exclusively taught by certified PI- Trainers - Members of ICPIT (The International Council of PsychoCorporal (Bodymind) Integration Trainers) founded by Jack Painter in 1988. 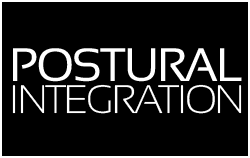 Postural Integration is the principal cornerstone and base for all other Bodymind Integration approaches. The method is alternative, complementary and usually practiced (though not exclusively) by regular health practitioners working with both holistic bodywork, body psychotherapy and going beyond both bodywork and psychotherapy. Postural Integration is solid ground and a moving force for those who are seriously looking for deep answers to life questions, health and personal transformations of all sorts. 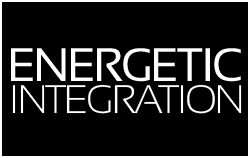 Energetic Integration® is an innovative development of Reichian work, developed by Jack Painter, Ph.D., rooted in Wilhelm Reich's (student of Freud) pioneering work as well as in modern therapeutic methods such as Gestalt process work and Bodymind Drama. They use a wide range of integrated mind and body approaches including body-sensing, breath work and cycles of charge and discharge, expressive movement, gestalt enactment, bodymind typologies and character analytic processes. In practice a double focus on the individual and on the interpersonal energetic processes is established. Energetic Integration helps individuals become aware of themselves in their body and to empower them to change themselves – their bodies, feelings and thoughts. Next to Postural Integration the primary method, developed by Jack W. Painter, it is a powerful tool for enabling clients to increase their sense of well-being, their capacity to feel, their ability to express, their self-awareness and consciousness. Psychotherapeutic Postural Integration (PPI) is an adaptation of the Postural integration (PI) process, practiced in the context of an alternative body-psychotherapy method. It is a way of helping individuals to become aware of themselves in their body and empowering them to change their "bodymind" - their bodies, their emotions and attitudes. PPI as a method is validated by the European Association of Psychotherapy, The European Association of Body Psychotherapy, The French Association of Psychotherapists and Psychoanalysts. This adaptation of Postural Integration is only practiced at the Strassbourg Institute in France, and accredited by ICPIT. Adapted from Jack W. Painter, Ph.D. 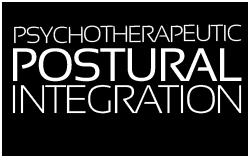 Adaptation of Postural Integration for use within standard psychotherapy. 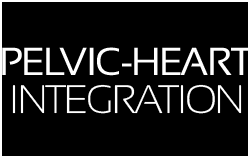 Pelvic-Heart Integration® is a wholistic methodology for transformation which emphasizes the power of sexual energy and the ways in which our culture frequently distorts the natural flow of orgasmic energy. As a result, it provides a valuable framework for sexual growth and healing – both in the sense of unraveling sexual dysfunction and in the sense of fostering and restoring trust and harmony between men and women. PHI was developed by Jack Painter, Ph.D., whose life's work has been to create "bodymind integration" ways: Initially he developed Postural Integration® in the 1960s and 1970s, Energetic Integration® in the 1980s and 1990s and Pelvic-Heart Integration® as a deepening of the previous inventions. These approaches are all very effective systems that help humans embrace and develop their deepest potential on all levels. Learn how to integrate tested Bodymind Integration skills and state of the art techniques in your daily practice. After having followed well defined steps, you can become a Practitioner, a Master Practitioner, a Helper-Trainer, an Assistant-Trainer or a Trainer yourself using empowering Bodymind Integration resources for the personal and professional advancement of others. We’re the Council, founded by Jack Painter, PhD (1933-2010), responsible for Bodymind Integration, Postural Integration®, Psychotherapeutic Postural Integration, Energetic Integration® & Pelvic Heart Integration® Trainings worldwide.